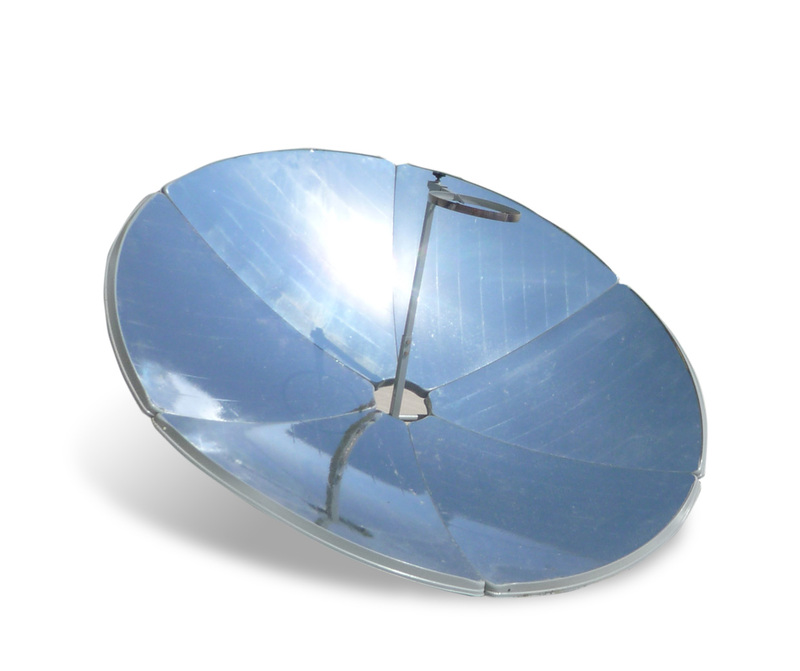 If the solar cooker is purchased at some stage, the rental amount is applied to the purchase price. 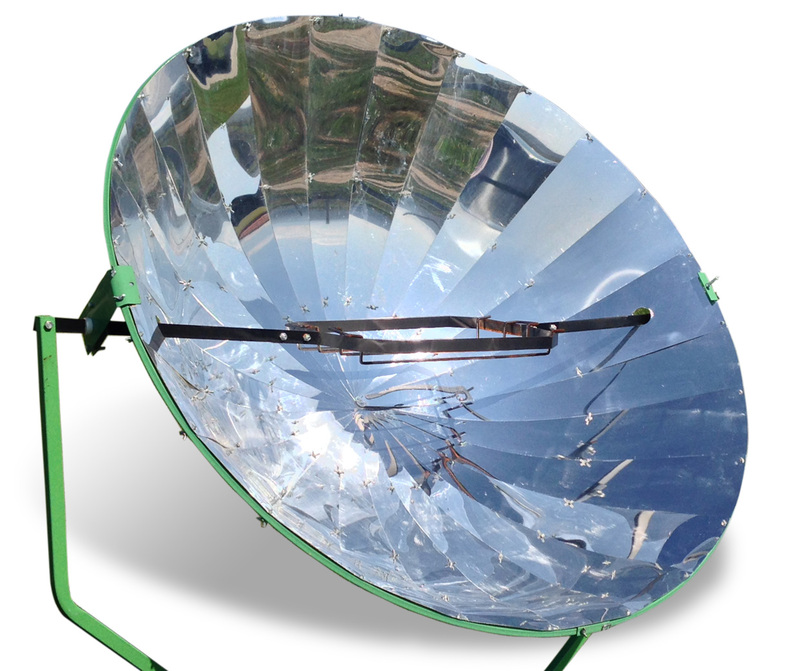 The solar parabol cooker consists of two main parts: a stand and a parabolic-shaped reflector. The upper end of the stand is the potholder (a pot ring in this case). The lower end of the stand is a tripod that is placed on a flat and hard surface. The food vessel (called for simplicity a pot ) must remain continuously upon the focus spot (or the focus spot must remain upon the pot), so as not to interrupt the heating process. For that purpose, the reflector is being rotated in a horizontal and vertical plane, following the sun in its daily movement from east to west. Refocusing (reorienting to the sun) should be done approximately every 20 minutes. The rotation in the vertical plane is accomplished by the control lever, which is mounted on the reflector back. If the sun is low above the horizon, the position of the pot must be further adjusted by moving the pot ring in direction of the reflector. A question arises: how do we know that the parabol cooker is properly focused? This question we have answered in detail in the Blog. * The average power for all models of parabol cooker is calculated for direct solar radiation of 700 W/m2. The maximum power is calculated for DSR of 1000 W/m2. Model LD 180 is great!